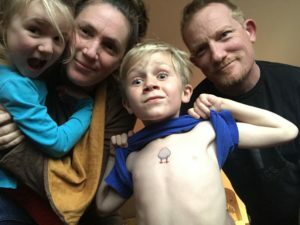 Last August my husband, Joe, our two kids, Miles and Keira, and I arrived in Santa Fe to a house we had rented sight-unseen (thanks to the help of our dear friend, Greg). Nestled between St. Francis Dr. and the DeVargas Mall, the house, now home, is a tiny oasis of birds, bees, and flowers, with a mountain (top) view and forever sun. Not only was our landing back in NM like coming home for me, but I had been hired by Lama to pick up where Joe Brodnick was leaving off, as Fundraiser to the Foundation. It was as if my dreams were coalescing into a sweet, harmonious melody. By the beginning of September, I was swimming through the files of Lama’s inner-workings. 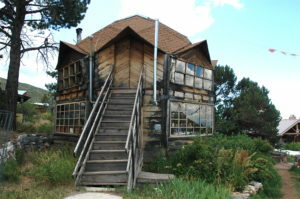 I had lived at Lama for two winters and three summers from 1993 – 1995. I had watched the fires consume the mountain in 1996 and put out spot fires around the Aspen when it was just safe enough to reenter. I had “grown up” at Lama. Discovered myself in the Mountain’s embrace and sometimes-cold-mirror-like reflection. But one thing I had not done, back then, was this pragmatic accounting for Lama as an entity. One of the first things that I noticed was that our database, brilliantly created by Siddiq von Briesen back in 1997, was sorely outdated. Joe B. and I discussed Joe’s research on alternatives. I decided to make it my first mission (after completing the Lama Alive newsletter) to upgrade our database to a cloud-based system that would more readily serve and support our Residents, Cottage Industry Manager, and Fundraiser in the jobs we are all tasked with doing. This may sound simple to those unfamiliar with database migration, but, as it turns out, Lama spins an intricate web. Not only do we have a database of more than 10,000 people(! ), but our systems for tracking each lovely Bean has not always been that straightforward. I will spare you all the details, suffice it to say it has been months of puzzling, organizing, cleaning, and researching. And, let’s jump right to the conclusion: We are now steps away from the complete transition from a single-computer, FileMaker database to a Salesforce database, which will be accessible to the Registrar, Treasurer, Coordinator, Fundraiser, and Cottage Industries Manager alike. If you are anything like me and able to see the far-reaching implication of this (think: less time tracking and more time loving/praying/laughing/raising money for the Foundation/___…) then you will understand my gushing entry here. While this is 95% good news, I do fear that in the transition, some folks will find their contact information askance. If you discover that any form of communication between us changes for the worse in the next few months, please do reach out so that we can fix it. Likewise, if you’ve moved, changed numbers or email addresses, please let us know. 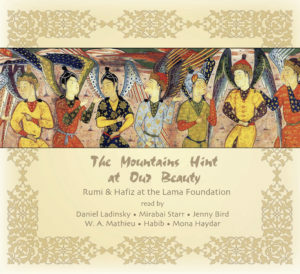 A couple of months into my new post at Lama, Mirabai Starr sent me an email detailing a project she had begun four years prior with Daniel Ladinsky, renowned renderer of the mystics (Rumi, Hafiz, St. Teresa de Avila…). Along with Jenny Bird, W. Alaudin Mathieu, Habib, Mona Haydar, and others, and with the expert work of recording artist, Omar Rane, they had created a heartfelt and elegant composition of poems set to music, all a gift to Lama. For a variety of reasons, the project lay unfinished, and Mirabai’s email was a last effort to bring the CD to fruition. Collaboratively, we were able to climb that last small hill (as the real work had already been done) and, I am so proud and excited to report, we are now announcing the release of this very special offering, The Mountains Hint at Our Beauty. All proceeds from sales of this CD will go directly to Lama Foundation. On behalf of Lama, I give a deep bow of gratitude to all the artists who worked on this project, donated their time, their talent, and their love to bringing this to life. We are saving our “asking” this year for our Fall fundraiser: a very special event, in which we will call on all of you to participate. Due to the focus we need to hold on raising money for this venture, we will not be running the raffle this year. Fear not, those of you who like to win things! Our fundraising campaign will feature many wonderful gifts. Perhaps even better than a raffle, our crowdfunding campaign will yield a return for all participants, not just the few. We need and want full participation from every person around the world who cares for, has been touched by, or relies upon Lama in some small or large way. We are going to be asking each of you to contribute something to this cause. Before we begin to actively raise money, we will be looking for a team of wild wanderers to work as the Fundraising Stewards, the Guardians of the “Ask,” the Keepers of the Flame of Prosperity — to enliven our planned 40-day campaign. HELP WANTED: Specifically, I am looking for 3 – 5 creative and motivated volunteers to work directly with me to bring this campaign to life. It may require a couple of hours per week of your time in the beginning, with a hands-on commitment during the 40 days of our event. You do NOT have to live in New Mexico to participate, though you must have a computer and a phone. HELP WANTED: I will also be looking for another 10 – 12 dedicated individuals who will work directly with our team on outreach. The time commitment will be flexible. If you feel drawn to participate, please reach out to me at tracy@lamafoundation.org. Though the active fundraising doesn’t begin until September, the campaign begins now, and I would love YOUR help. On September 1, 2018, Lama will launch a 40-day crowdfunding campaign to raise $250,000 – $300,000. Can we actually raise this money in such a short time? YES. With your commitment to participation, this will not only be a successful campaign, but a very FUN, LIVELY, HEARTFUL, and CREATIVE collaboration. Lastly, let me thank all of you for supporting me in this work. Though you may not know it, it is due to your commitment to Lama that I am here in this service. I am always available if anyone would like to talk shop, reminisce, or discuss fundraising concerns.